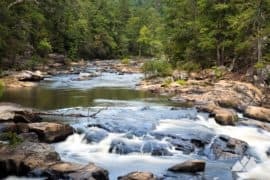 Hike or run an 8.5-mile two-trail adventure through two popular Chattahoochee River parks near Atlanta, Cochran Shoals and Sope Creek. 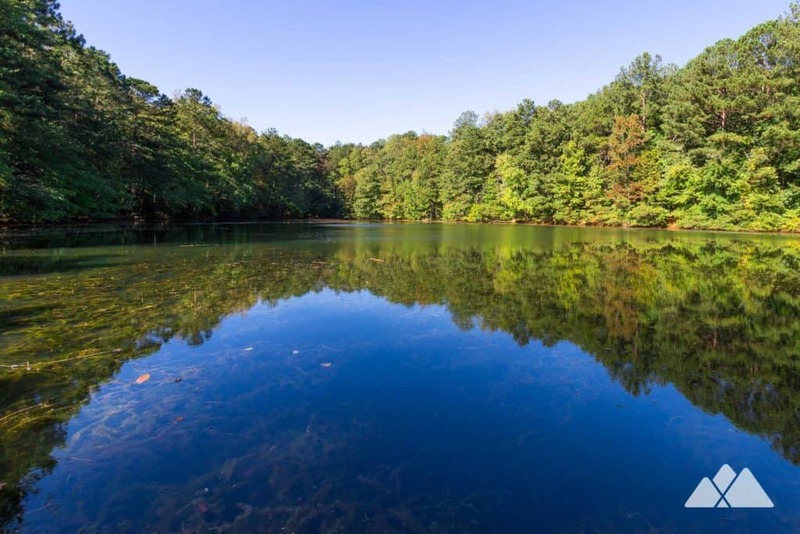 Sope Creek and Cochran Shoals are two of the most popular Chattahoochee River trails near Atlanta. 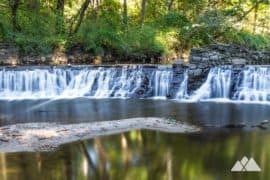 Both parks are fully deserving of their popularity, hosting extensive trail networks that explore a wide variety of scenic terrain on the banks of Atlanta’s beloved river and National Recreation Area. 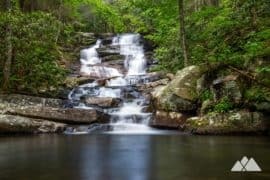 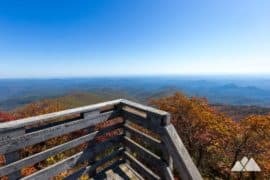 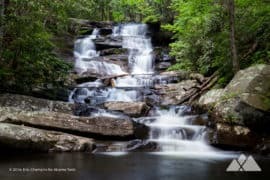 This hike visits both parks, grabbing some solitude and elevation on a lesser-traveled connecting trail that spans Cochran Shoals’ level running trails and Sope Creek’s rugged hiking trails. 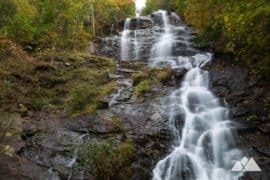 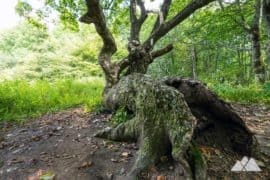 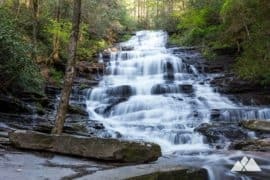 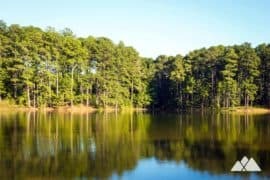 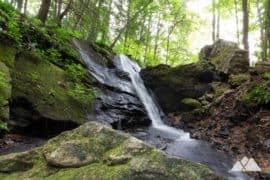 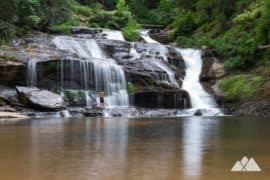 This hike explores some remarkably unique landscapes on a moderate 8.5-mile loop, visiting the wildlife-filled banks of the Chattahoochee River, grassy marshes, rolling forests, a tranquil pond, and Civil War paper mill ruins on the banks of Sope Creek. 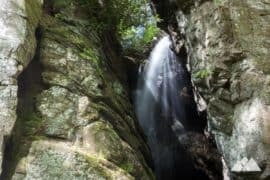 It’s one of metro Atlanta’s best high-mileage adventures, and makes for an equally great day hike or energetic, scenic trail run. 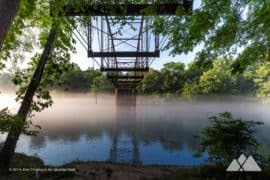 The adventure begins at the Cochran Shoals Interstate North Parkway trailhead (view maps and driving directions), hiking northbound on a wide gravel trail flanking the wide-flowing Chattahoochee River. 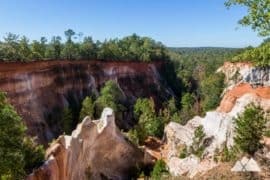 The trail runs nearly level, lending to its popularity among runners, and catches nearly continuous views of the rocky-bedded river shoals. 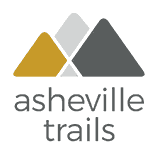 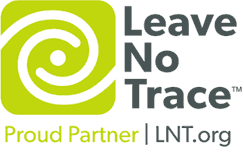 The trail passes an intersection at .6 miles, continuing its northeast trek along the Chattahoochee River. 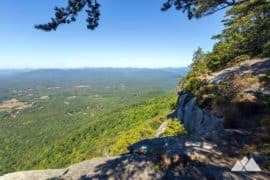 Just after looping southwest and passing a parking area at 1.6 miles, this hike departs the Cochran Shoals Trail via a dirt path on trail right, quickly gaining elevation as it dives northwest into the forest and crossing a mountain biking trail. 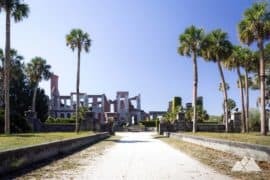 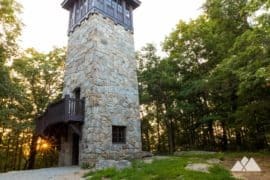 The trail climbs a relatively steep incline, gaining over 150 feet elevation in the next quarter mile before reaching a small, secluded cemetery as it crests elevation. 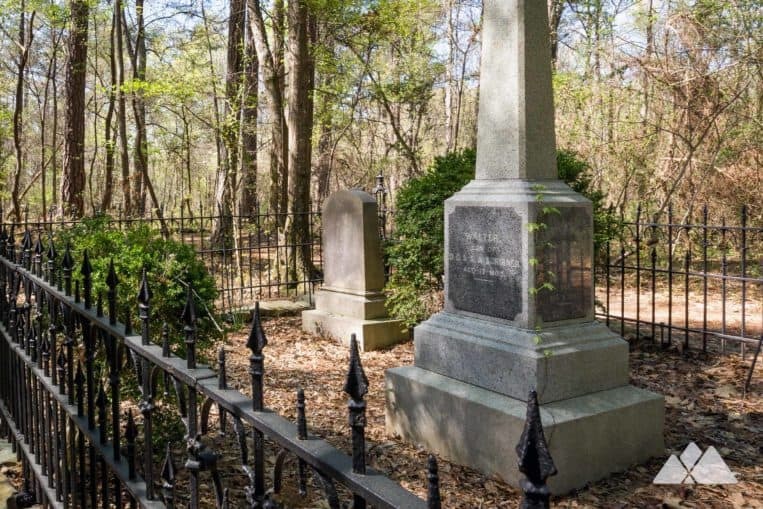 The hike departs the cemetery’s weather-worn headstones, continuing its northbound trek toward Sope Creek. 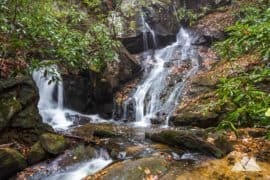 The trail descends, switching back under the canopy of a primarily deciduous forest dotted with trickling streams, meeting the outer Sope Creek Loop Trail at 2.6 miles. 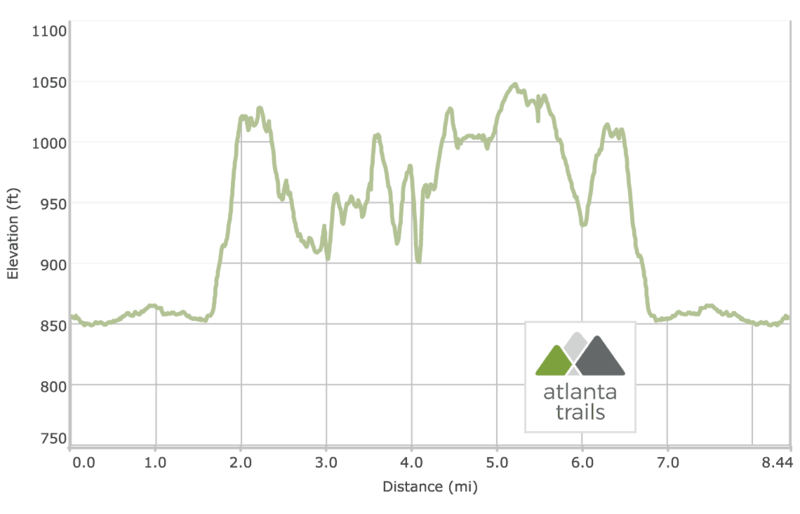 The hike turns right at this intersection, following the Sope Creek Loop counterclockwise to the northeast, rolling elevation and remaining on the outer Sope Creek Loop through well-signed intersections. 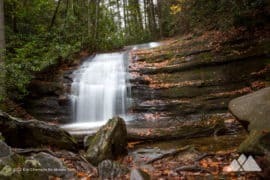 The hike departs the loop at 4 miles, descending a steep side trail to the Sope Creek paper mill ruins and the tumbling, rocky creek nearby. 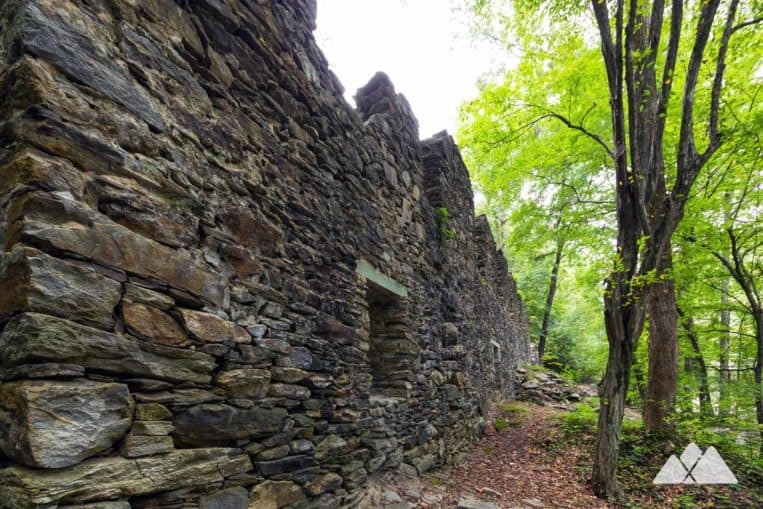 Departing the stacked-stone ruins and the banks of the boulder-filled Sope Creek, the trail ascends to the Sope Creek trailhead and parking area. 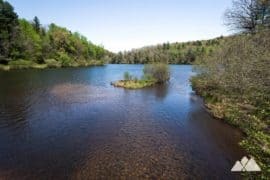 The hike follows signed intersections to Sibley Pond, reaching the pond’s banks at just over 4.5 miles. 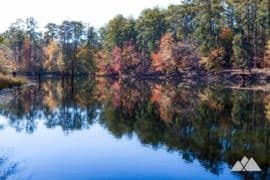 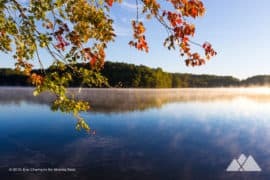 The trail skirts the banks of Sibley Pond, catching reflective views in its still waters before diving back into forest cover on the outer Sope Creek Loop Trail. 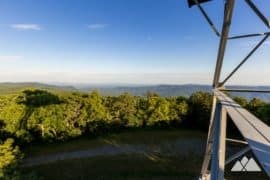 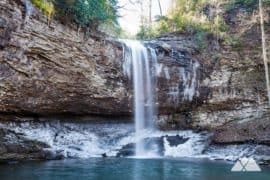 The trail rolls elevation as it loops southbound, turning south to hike the Cochran Shoals connector trail at 6 miles, passing the secluded cemetery and reaching the Cochran Shoals Trail at 6.8 miles. 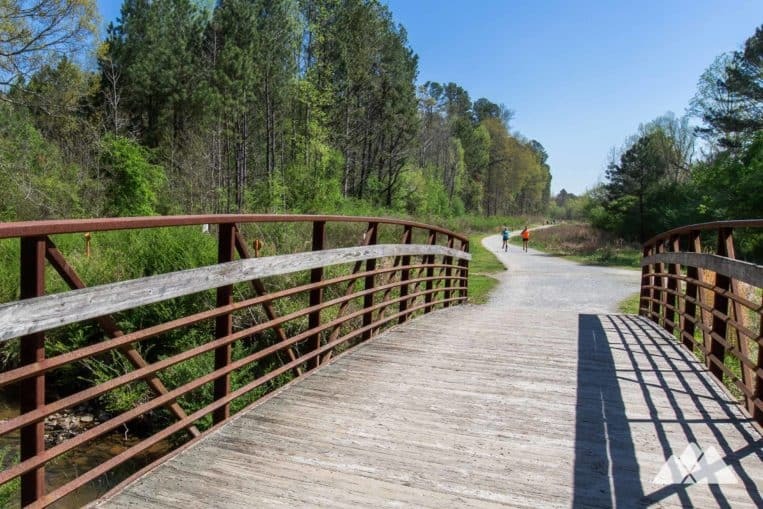 The route turns right on the Cochran Shoals Trail, passing marshland on the left and crossing a tributary stream via a large wood and metal bridge. 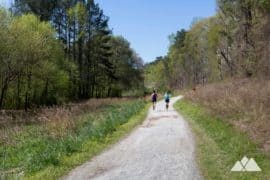 The trail arcs to the southeast, passing through a grassy, amphibian-filled wetland at 7.7 miles before returning to the banks of the Chattahoochee River. 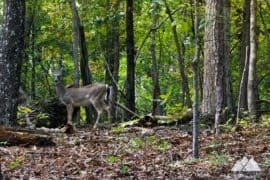 The hike turns right after reaching the river, retracing its outbound steps on the wide, gravel Cochran Shoals Trail southbound. 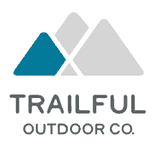 The trail reaches the Cochran Shoals trailhead at 8.5 miles, completing the adventure. 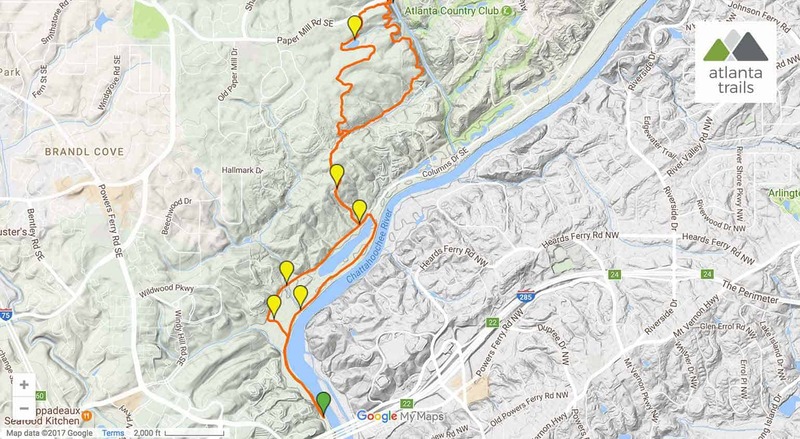 This route is one of the longest and most difficult in the Chattahoochee National Recreation Area, a collection of parks on the banks of the Chattahoochee River in metro Atlanta. 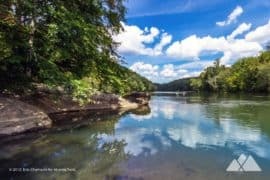 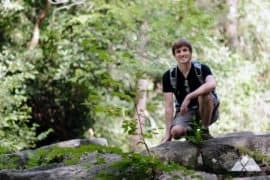 Find another great adventure on the ‘Hooch with our guide to our favorite Chattahoochee River hiking, walking and running trails.